technews "An Airplane Without Wings" - A Glimpse of The First Hyperloop. "An Airplane Without Wings" - A Glimpse of The First Hyperloop. A full-size Hyperloop capsule designed to carry passengers at 1,000 kilometres per hour has been unveiled. 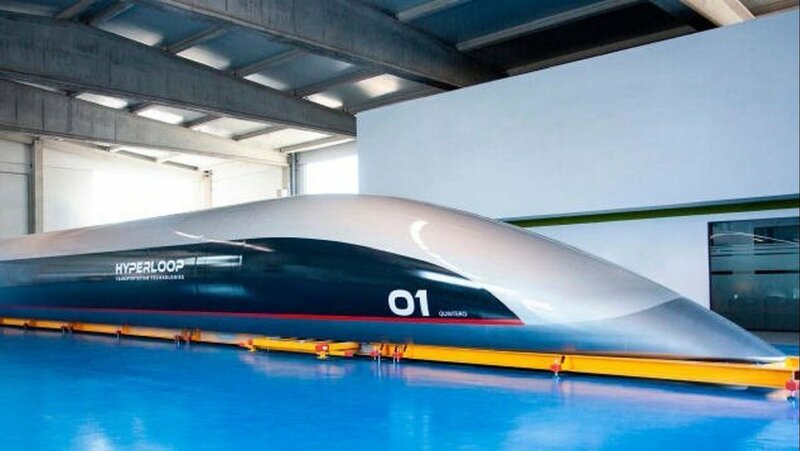 It was unveiled in Puerto de Santa Maria, Spain, very close to where it was constructed at the aerospace facilities of Airtificial, a partner of HyperloopTT. Dubbed an "airplane without wings," the Hyperloop's aim is to permanently disrupt how we travel long distances. A journey from Los Angeles to Las Vegas can now take nothing more than 20 minutes. At a length of 32 metres, the Hyperloop capsule would form part of a longer train that could in record time speed across a country. The first full-scale Hyperloop capsule is made out of dual-layer smart composite material and is named "Quintero One". Responding to questions concerning safety, the HyperloopTT team stressed the capsule's security. They also laid emphasis on the new material it's made from and the protective double-layer. "In just five years we have solved and improved upon all of the technology needed for Hyperloop with our new levitation system, vacuum pumps, batteries, and smart composites," CEO Dirk Ahlborn added. "This capsule will be a part of one of the most efficient transportation systems ever made."